Trend nowadays people using fb to express their feeling, like a diary to tell their moments of life, a media for social life to sharing thought and conversation. However when doing it excessively without etiquette ones just like someone looking for a fight. Recently my junior told me about a post that seems referring to them in bad ways. Based on what she said, I agree that is bad/rude but I dont give specific comment as Im not in the circle of affected to know the real situation, I am neutral and dont like to involve in such cat fight. I am sometimes become a place for my junior and friends to share their sorrow, unsatisfied feeling, upsetting day or whatever it is especially about work and study. As said by a studies that september girl is good at words, a good critique (but refrain to be jerk) I always give them advice and my thought fairly, sciencirely with good intention. If I think they are wrong then I said "that is not good and dont do that" or if I think the other party is wrong I will said "thats not good, they shouldnt do that". I heard somewhere in physiology that a listener should be neutral and not sided to any party in the story. Im not following that rule because I am a friend that should gives solid feedback to encourage us or prevent us form falling to become bad. I do talk with intention it can bring out what good and restrain myself for only good purpose because I want His blessing. In addition I know my friends personality thus I know how sincere and true the story is. They also know me as someone that very logical, strict and natural and they know I wont praise them if they not doing good. So we not talk to backbite but sharing stories/feeling between friends. I dont like to involve in others matter, but I do care those who ask. I am more like a consultant that even now my junior ask me "sis give me advice since I becoming more and more lost and discourage". Haha.. Always when I advise others, it is especially also a reminder for myself. For me I don't like to involve in cat fight. The cat fight that I mean is war in fb, posting hating that pin point at someone. That later it will bring others to know and involves which worsen the case. So I told my junior, if you are wronged in that post, just don't open their fb walls. Same as to you, you dont have to upload childish remark especially if many of the readers know whose it is. Yup, in life meeting with many people, ain't all are angle because we are human. Everyone make mistakes, have preference, ego, anger and mood. Coop yourself in the nick with the remembrance of Allah and Islam. Islam told us to be kind, and keeping good behavior and retain silaturrahim in society. 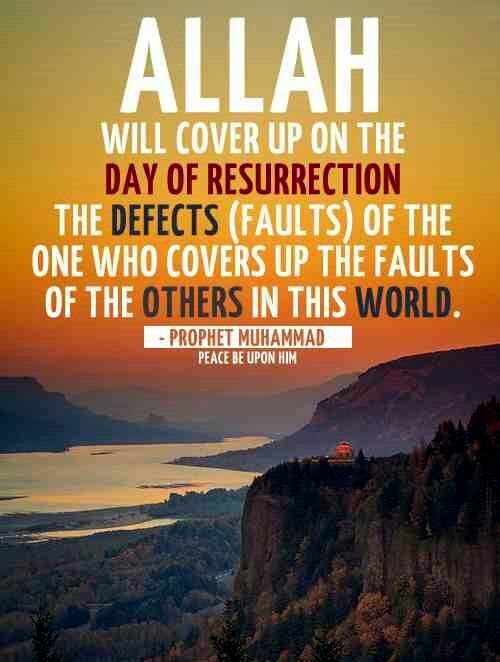 Allah sees whatever bad things we doing and it will be recorded in our amal, same goes to the good deed. So collect the reward and blessing by not involve in catfight to purposely hurting each other. How am I doing in my nick? Alhamdulillah i'm the type who dislikes fighting. Too many other things to do rather than burden myself with catfight. I don't easily get angry, but if I got mad, I rather keep quite and restrain myself from getting mad. People however know it by my eyes, I always cannot look in the eyes of a person when Im angry. If the bad things occur, I wont directly explode instead I restrain or solve the problem myself. I will only talk if the bad deed occur repeatedly which I cannot endure. I will construct my words earlier and think the bad consequences from it. After that if the bad deed still repeating, I may remind for the 2nd or 3rd times. At the 4th time I usually prepared with fact and evidence. At this point I usually really mad since the anger that I kept for a very long time burst. I really mad but I endure myself to be angry since I reallyx10 hate sour face in the future. Even I endure, people know it since I cannot act. I rarely mad, if I do it is because of a very strong reason, purpose and usually with fact and evidance. When I mad people usually cant deny because I have my evidance. Neither they can find my fault because I usually very strict to myself. I wont do the thing I think is wrong. The last resorted word my sis usually said is "you think you are perfect and didnt make mistakes?". Then I told her "tell it to 100 peoples to evaluate, who the bad person in this case, who won't get mad". Hahahahahaha.... I dislikes fighting, but sometimes it necessary and usually it would turn into a better life after that. Most of the time, I wont involve/mad in things that not related to me. For example bad talk about others family. And I most disgust bad talk towards friends in a group of their own friend, especially about the issue that not related to them or personal issue of the victim. When I saw such person, she wont get my trust. I also dislikes to hear friends backbiting each other especially on mare issue that smear shame on that friend. I will avoid or not giving respond in the issue. If people try to bring issue about other friends especially if not related to us, I will just Change the topic into current or political issues. If it keep repeating, I will said "it is a sin for us to backbite friends. My sis wont backbite and I admire her". I usually give my sincere opinion even that means I didn't support them. I wont said things that I don't think right just to comfort people when it is obviously wrong. However try saying it in polite ways, such as making it sound like a joke or it not to make guilt the other person instead it is for yourself especially. Good thing about me is i'm afraid to lie and I cannot act. I don't like to talk bad about other because I will feel burden/ not comfortable infront of her. Its really weird to see people talk bad about their friend and become so sweet in front of her minutes later. Its scary I think. I do have resentment in daily life, and I do critic but always restrain myself. I talk on things that obviously wrong, I complaint to the respective person and discuss how we can improve and I dont make joke nor entertain myself with the argument. So eventhough we have different view, yet we not fight nor hate each other. REALLY, CATFIGHT NEVER IS ENTERTAINING NETHIER WHEN WATCHING IT. In a situation I cannot endure, I usually express it in my diary or complaint to my sister about it. But nowadays I didn't tell sis because she is too kind and not helpful. I'm clinging but she is careless to this kind of issue so I think it useless. I think expressing feeling to siblings is not backbite instead just pouring thought, share things and taking care of each other. However only tell what is really happen and don't overboard to a limit that lying. Because that really bad, and you lost your reward. Sometimes I ask sis, "is this called back biting? When it involves and occuring to me and I not marely badtalk". Sis will answer, "yes it still is!". A good advice from sis is "what you said is true, but covering ones bad deed is noble, and rewarded with Allah blessing and He cover up your defect". Actually I didn't complaint much (yalah! ), just some issues that affecting me deeply. I am a week human indeed, I hope to be more more and more patient. Sis advice is true and help me very much. I didnt share any of bad thought to my friends, even my best friend. If anything bad happen, I rather ignorance (forget it) rather than share it with other. Friends are friend, theres limit of professionalism and respect that I restain myself from being clingy. If I have argument with other, I usually didn't talk about it to other nor post in social media that I'm mad at particular person. I wont think deeply on the argument and live as usual like nothing happen. By time the argument dissolve itself naturally as it never happen. People know me that i'm easy. Whatever happen I will easy to cool down. A simple smile will make me to let go in the argument and even lay low in order to dissolve it. Again I hate fight because its a burden in heart and wasteful.I hate fight, I hate sour face.!!! To prevent fight, I rather isolate myself than with people who love to fight and bad talk. I really appreciate good friend, but I wont find it comfortable with those who keep pricking other. I do sociable, but when times to victimize other I rather pass. Isolate myself and prevent myself in such culture will lessen my bad experience and automatically my complaint. So I will be more happy with lessen sin to talk bad of other. I prevent myself not being a cause in a fight. I prevent myself become flint in a fight who enjoy people's fight and argues. Just remember that we wont live forever and theres heaven/ hell after this. Poking on other's matter that not related to us and really not necessary is a wasteful action paid with sin. What worst, the sin can only forgiven by that person (victim). So even we are weak human with emotion dont be too bold and arrogant. Do more beneficial things that please Allah and seek for His blessing sincerely. Lastly because I remember Allah and Islam, it control myself from being bad person. I am bad, but Islam guiding me to not being jerk. I will be grateful if people see me as someone that solat, and not interested to backbite. I am proud when people said she is a Muslim and trustable. As a conclusion, restrain ourself in a catfight. It is wasteful, bad to body and mind, a sin and unethical. Argument is good if it has purpose but catfight is a childish way, that may lead to bigger fight that may end up with people really hate you. Avoid it as there are soo many things to do and learn in order to improve yourself. If arguing with intention to fight (initiate haters, feel happy of others misfortune, a flint, feel entertain with the badtalk) with no benefit seen, its really a sin and ourself is in a bigger loss. Find blessing instead!! Note: I do catfight, but only to my sis. Its terrible but I have my reasons for it. I usually win because I wont mad without purpose, it will end with a better life and improvements in us. We are siblings, so the catfight is almost opposite than with friends. I lost my cool image arguing with sis. In my eyes sis careless but im a head complainer and clingy. Sis has bad temper but she has big patient and big heart. And what make us improve, it is Allah and Islam to remind us, and because we love each other unconditionally. When we fight I always ask "o Allah, let me be kind toward sis and let us be closer because I love her"..amin..
Be clingy only to those who understand and love you Which ususlly is your family. Alhamdulillah my friends are those who are kind and they always lead me to the right path. Even now we still remind and encourage each other. The situation I usually cannot hold myself is when I were accused on things im not doing especially when I have my evidance. I will defend myself. Luckily all peoples around me is all fine people.